Live, study, play in a setting of stunning natural beauty. Be challenged academically and intellectually, discover your passions, and find the leader inside you. Come explore the best environment for learning today. Forge relationships and memories for a lifetime. Outstanding Arts programs are accessible to all students. Experienced coaches and active competition at all levels make KUA team sports inspiring and rewarding. Be a part of a supportive, open, and active student culture. Community engagement is the KUA experience. 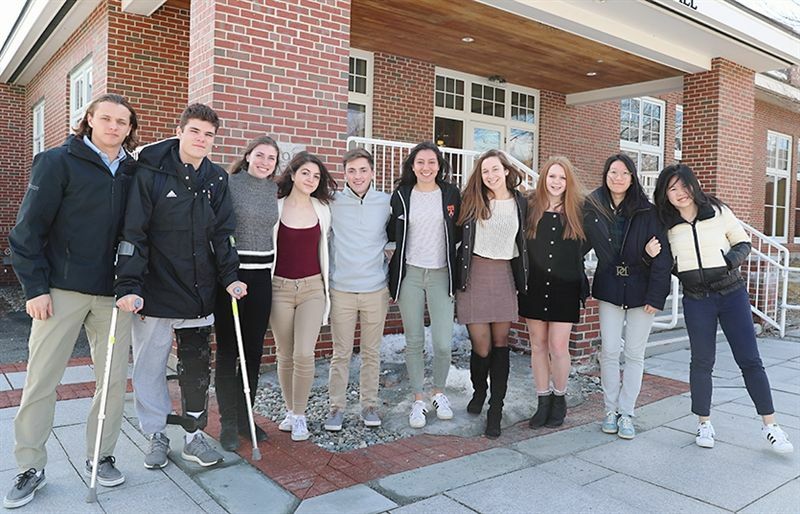 Supported and challenged by peers in positive ways, KUA students acquire a depth of knowledge and mastery that allows them to become leaders. Applying to KUA is fun and easy. Your support makes a KUA education possible. We are delighted to welcome several new faculty members to The Hilltop for the coming school year who will serve as Head of College Counselling, Admission Office and Basketball Coach, Science Department Chair, and Mathematics Teacher. 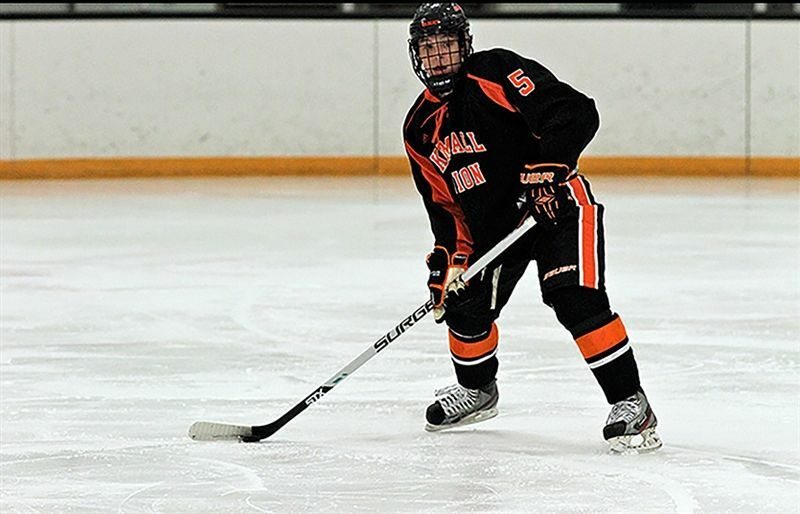 Cam Beecy ’15, now a senior defenseman for the Norwich University Cadets hockey team in Northfield, VT has been nominated as one of five finalists for the prestigious 2019 Hockey Humanitarian Award. The award is presented annually by the Hockey Humanitarian Award Foundation to college hockey’s “finest citizen”. Cam’s nomination recognizes his inspiring work with a number of philanthropic efforts. Congratulations, Cam! On Friday, March 29, 2019, incoming Head of School Tyler Lewis, along with his wife Renee and three young children, Benjamin 9, Finnegan 7, and Hadley 5, and family Golder Retriever aptly named Baxter, visited The Hilltop to greet newly accepted Kimball Union applicants for the first of two Admission Revisit Days. Created in 1983 by Hugh Cullman '42, the Cullman Scholarship Program supports students in off-campus study opportunities. During the summer of 2018, nine scholarship recipients pursued courses of study ranging from serving as an International Physician’s Assistant in Warsaw, Poland to studying microfinance in Kathmandu, Nepal. Recently, The Cullman Scholarship Comittee, comprised of faculty representatives and the 2018 recipients, announced 2019 Cullman Scholars. 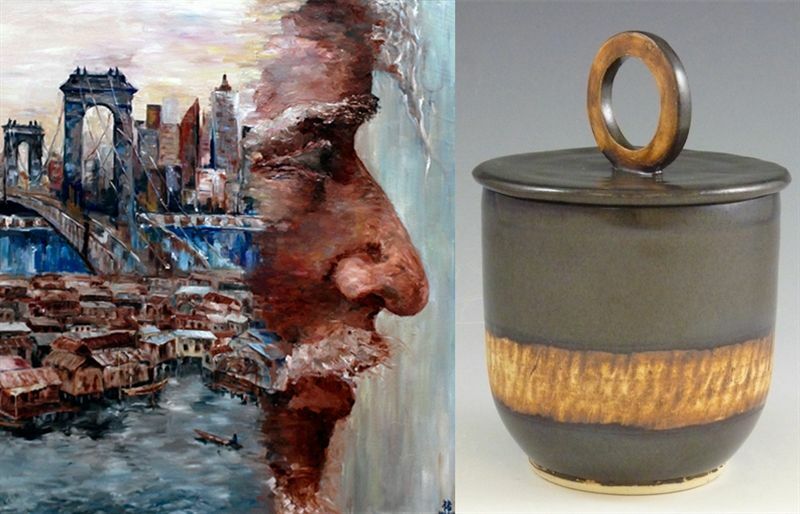 KUA student artists were recognized during the Winter Trimester for outstanding work in ceramics and visual art. 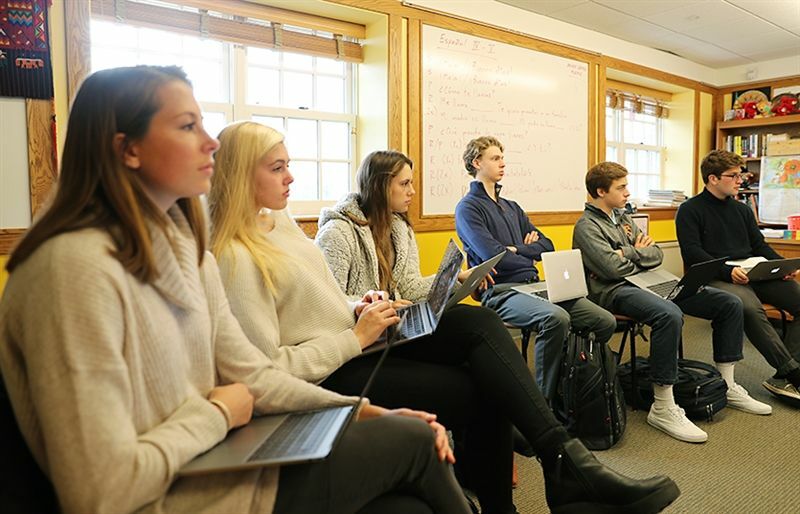 For their K-term class this year, Interim Head of School Pam Clarke and faculty member John Custer offered an intensive course in all things Greek. 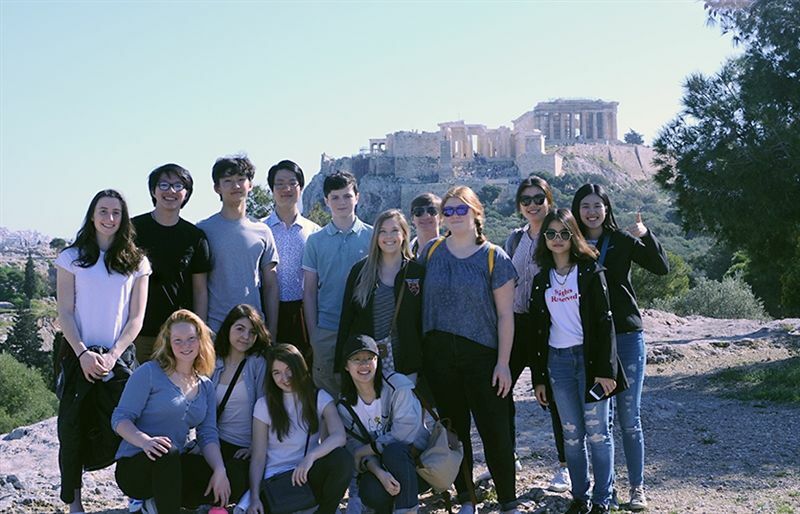 In preparation for a trip to Athens the following week six serious students (Global and Arts Scholars) immersed themselves in Greek history and culture. Established in 1983 with a gift from Hugh Cullman '42, the Cullman Scholarship Program supports students in off-campus study opportunities. During the summer of 2018, nine scholarship recipients pursued courses of study ranging from volunteering with Real Cochabamba Soccer Academy in Bolivia to interning with the Industrial Bank of China’s Green Financial Division. 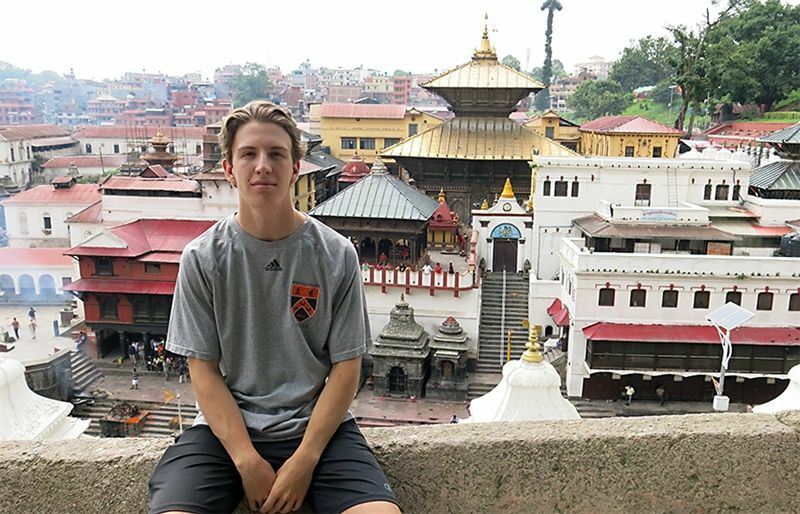 Recently, Julian '19 gave a presentation at All School Meeting about his Cullman Scholarship studying microfinance in Nepal. In my years working with high school athletes, I have observed some incredibly skilled, gritty, and hardworking students who are driven to play their sports at the college level and beyond. However, because they have not yet learned the benefits of purposeful strength and conditioning, many of these athletes are not maximizing their potential. 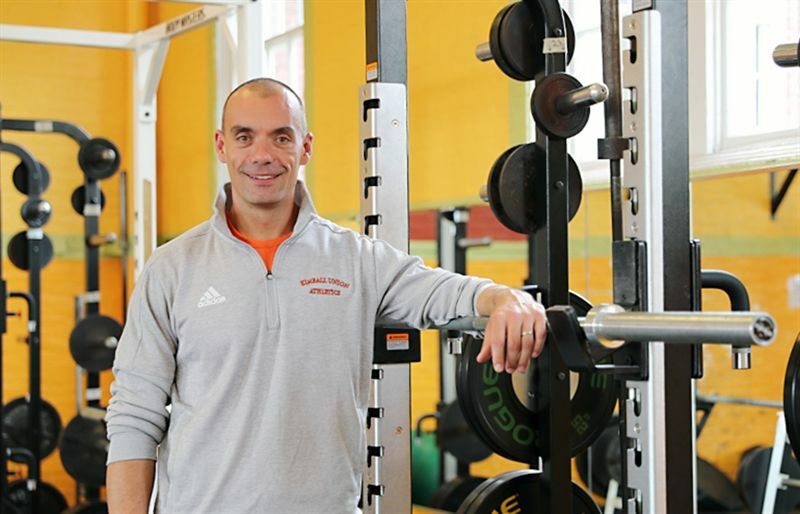 Because so many high school students either do not know the benefits of the gym or suffer from gym anxiety (aka “gymtimidation”), strength training is one area where high school athletes can gain a decisive advantage over their competition. 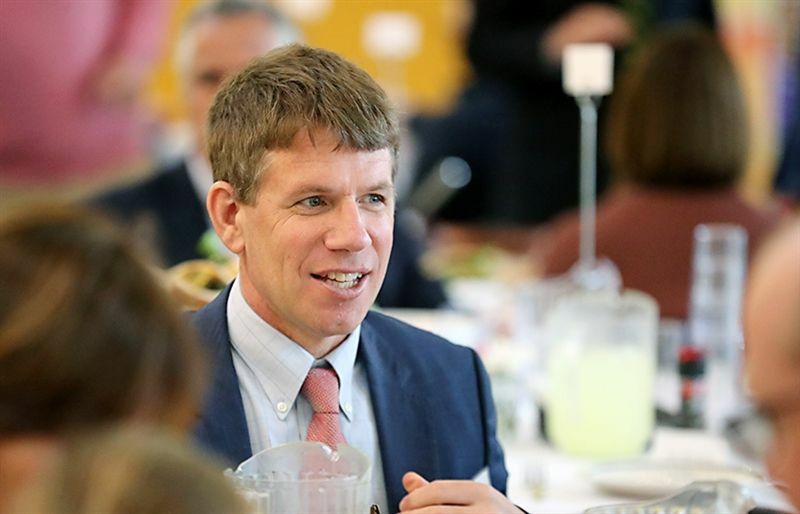 KUA is pleased to announce that Mike Schafer H'13, P'12, '15, '19 has been chosen to deliver the 2019 commencement address. 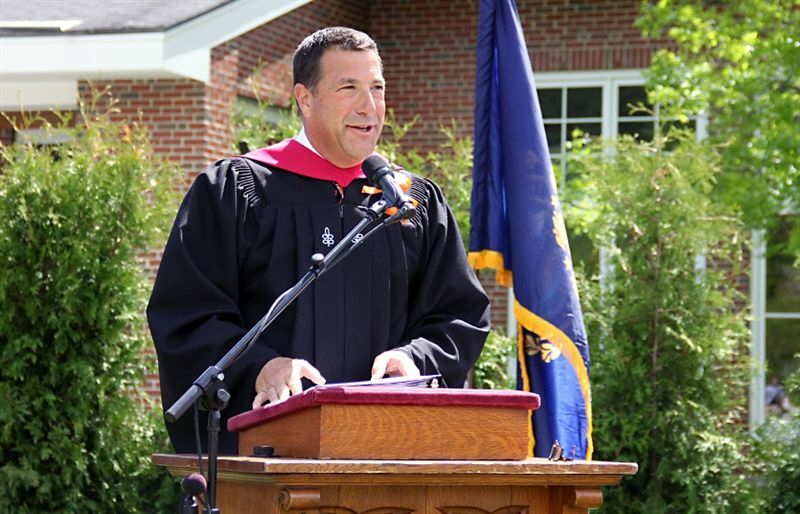 As he graduates along with the class of his youngest child Jonathan, who will receive his diploma from his Dad, this capstone to Mike’s sixteen years as Head of School honors his long and successful tenure on The Hilltop. Longtime Meriden resident Doug Grearson P’75, ’76, ’80, ’87 passed away on February 23, 2019, in Lebanon, New Hampshire. 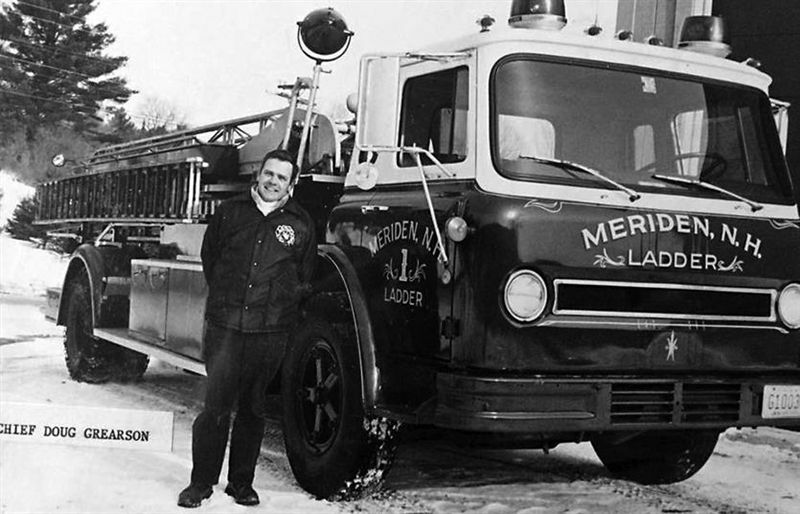 During the 1980s, Mr. Grearson was Chief of the Meriden Volunteer Fire Department and was instrumental in supporting the Kimball Union Fire Brigade during its creation. Interested in joining a learning community whose members are genuinely invested in one another? A community that supports each other's academic goals and aspirations? That's exactly what you'll find at Kimball Union. Watch to learn more. "When I put on the orange and black uniform, it represents my school, my team, and my pride. That's what it's all about."